Yellow highlighted QuickNotes section on each spread for priority data. 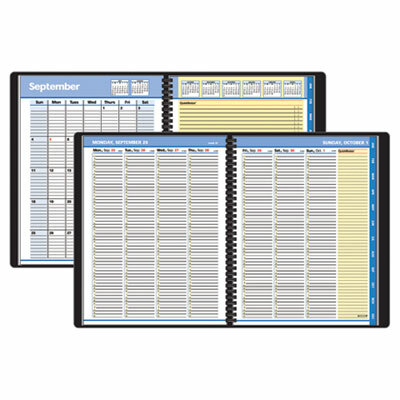 Tabbed monthly overviews for long-range planning. Telephone/address section keeps contact information at hand. Storage pocket for keeping loose papers. Yellow highlighted QuickNotes section on each spread for priority data. Tabbed monthly overviews for long-range planning. Telephone/address section keeps contact information at hand. Storage pocket for keeping loose papers.